Happy Sunday-after-Halloween everyone! I hope you had a raucous and safe Halloween. As this holiday was approaching last week, I realized I didn't have any plans to go out so I was imagining that I would just create a face-only costume to post here. But then I was invited to a small party at a friend's place so I had to come up with a quick costume. 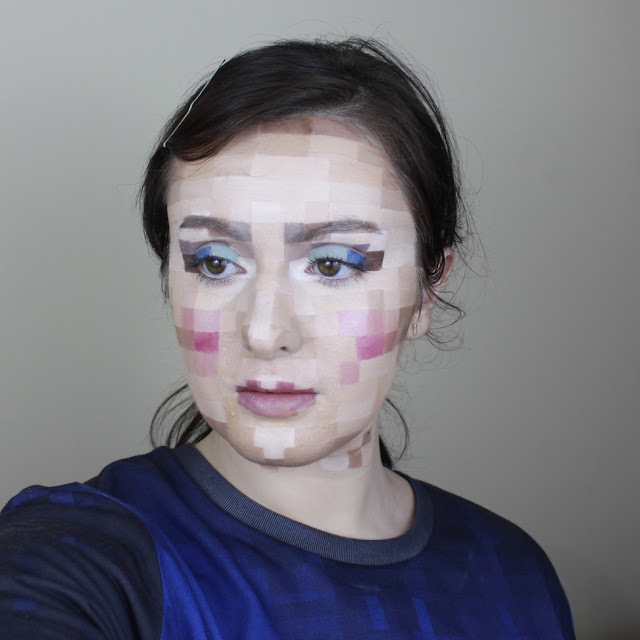 While browsing Instagram for ideas, I saw pixelated makeup and thought, "there must be some pixel-print clothing out there somewhere." Luckily I found some and this look came together.